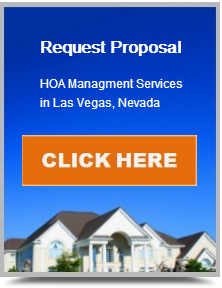 Shelter Management Group (SMG) offers management services to associations governing luxury high-rise buildings in Las Vegas. These high-profile buildings have amenities and services commensurate with other properties in the resort corridor. Although these buildings are condominiums they have the feel of a commercial property and indeed some of them do have mixed-use properties with their confines. The executive boards elected to on behalf of a high-rise association must find a management firm which understands the specialized nature how a particular building functions and how best to keep it operating effectively, being especially sensitive to cost controls. Unit owners pay very high monthly assessments and it is paramount that those monies are applied in such a way as to gain the optimal benefit to the building and association. SMG upon taking over a high-rise account will complete and review of current staff to ensure the right people are employed in order to establish a successful climate of employees and professionals serving the association. We look for persons who possess the necessary experience, skills and attitude which fits the individual property. SMG will also do a review of the governing documents, current maintenance plans, review of the Reserve Study and consult with all vendors to help create a program that metes out the needs of the association and sets it on a path to prosperity. Shelter Management Group (SMG) services associations for mid-rise buildings. Many of the same points of emphasis exist as in the high-rise category. Please read the section above. Also, an overview of services offered by SMG can be found HERE.